We present you an authentic farm of 1885, restored with care. 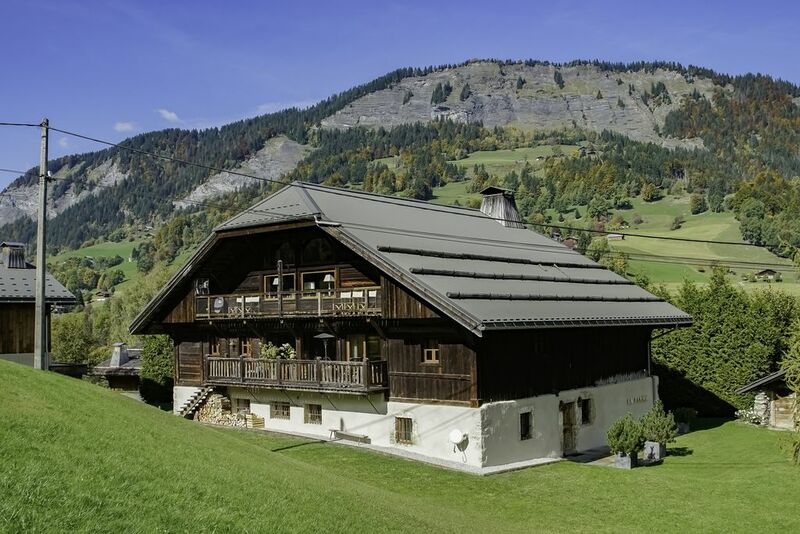 The farm Celestine enjoys a prime location, in a rural environment 5 minutes from the ski lifts, allowing a ski-in and only 10 minutes from Megève. The farm Celestine has a large living room with fireplace lounge, home cinema and bar area; a dining room for 12 people, open to the kitchen and the terrace. This prestigious property has 6 bedrooms with bathroom, including a master bedroom with bathroom, office and library. The Celestine farm is a true invitation for a total escape, this chalet offers the rewarding sun at the foot of the ski slopes. A taste in any season, this cottage rental will be an ideal setting for a stay fully focused on your well-being, like its spa including a jacuzzi, double steam room / shower with terrace access to end your days warmly and soothing. Access a world of comfor t and well-being with this rental chalet Megève / Praz-sur-Arly and share special moments with your loved ones in an extraordinary setting of softness and beauty.